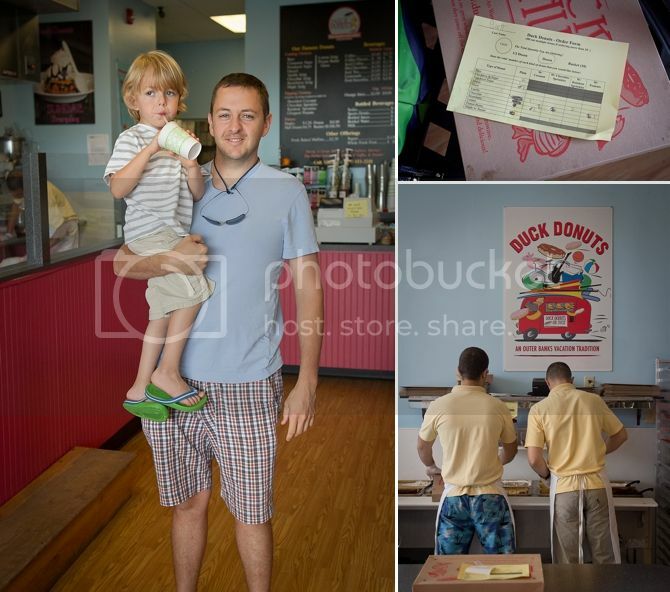 One of my favorite Outer Banks traditions is donuts at Duck Donuts. They are made to order--you pick out your icing and topping and then you can watch them make it for you! I totally butchered our order--for some reason the little grid baffled me. My favorites were chocolate icing with peanuts and peanut butter icing with chocolate sprinkles. Surprised? I didn't think so. It was so fun to vacation with Megan and Dane and little Piper! Lots of things are easier when you vacation with friends--more people to play games with, more dads to entertain kids, and more moms to prepare meals. 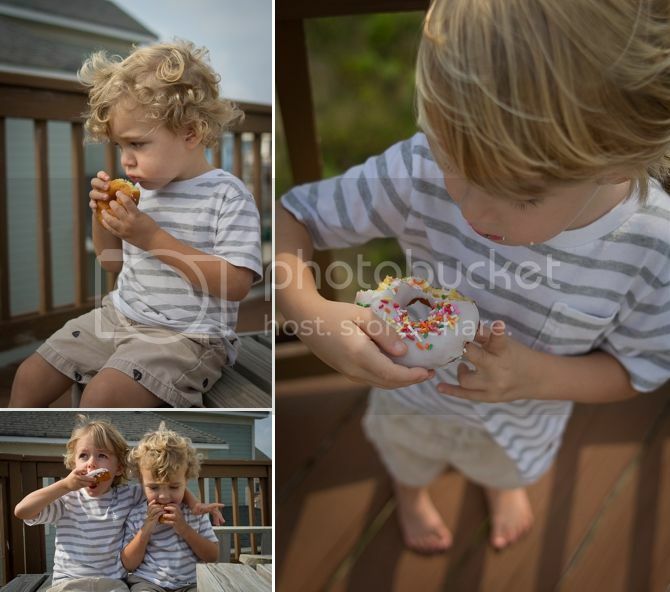 We took the donuts home to eat on the deck because Duck Donuts is lacking in the table and chair department. Although I can't imagine a better place to eat donuts--by the sea. Well now I really want a donut. Thanks a lot. I love best that Duck Donuts has a well worn step for children to watch them work. And that the donut guys don't have one! Sounds like you all had tons of fun!